I’m a cookbook junkie, partly because my secret ambition was once to be a food photographer. Owning cookbooks doesn’t necessarily mean I have to cook from them, I mostly just look at the pictures. A good recipe is all in the presentation – sumptuous images, a complex list of ingredients and a page of detailed instructions and I’m in heaven. I thought I’d seen it all when it came to cookbook photography but Ikea have made a cup of flour and a stick of butter look perfectly stylish. Count on Ikea to take something simple (a gingerbread recipe) and make it even more so. 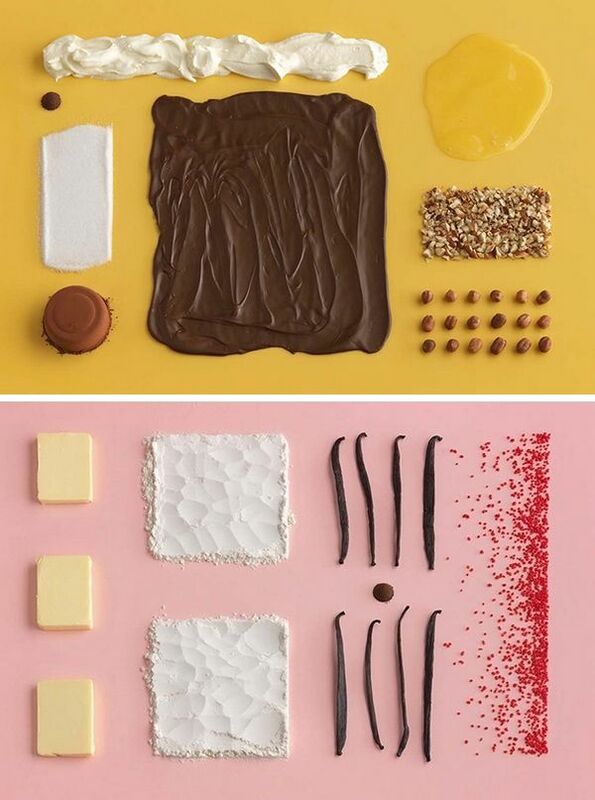 Each recipe in Ikea’s first cookbook, Hembakat är Bäst (which translates to Homemade is Best), is accompanied by two images – one of the ingredients and one of the finished recipe. The ingredients are artfully laid out and half the joy of reading these recipes is identifying the individual components in the stunning images. Ikea commissioned food stylist Evelina Bratell and photographer Carl Kleiner to create these gourmet masterpieces and the result is minimalist, simple and Scandinavian cool – just like Ikea. No word on if this book will be translated into English.